Famotidine is used in both veterinary medicine and in human medicine to decrease acid production in the gastrointestinal tract. In human medicine the trade name for famotidine is Pepcid. Other drugs in this family are cimetidine (Tagamet) and ranitidine (Zantac). The scientific name for this family of drugs is “histamine H2 receptor antagonists”. These drugs prevent the stomach from producing gastric acid by binding at a receptor cell in the stomach. Famotidine is used in dogs, cats, and horses to treat or possibly prevent ulcers of the esophagus, stomach, and gastrointestinal tract. Famotidine may be given orally, or by injection in a hospital situation. 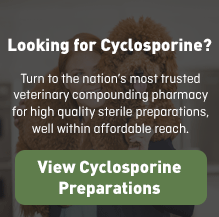 Like many other drugs in veterinary medicine, this drug is not FDA approved for use in animals and is not available from a veterinary pharmaceutical manufacturer. Instead, it is compounded by a specialty pharmacy. 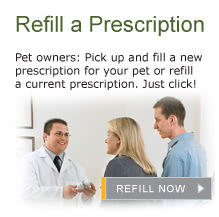 Give this medication to your pet exactly as your veterinarian prescribes. 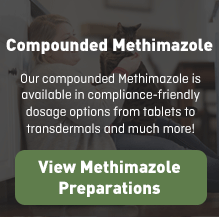 If you miss giving your pet a dose of famotidine, give the next dose as soon as you remember or, if it is close to the next scheduled dose, return to the regular schedule. Do not double dose to catch up. If your animal is receiving any of the following drugs: antacids, metoclopramide, sucralfate, or ketoconazole, your veterinarian may recommend that you separate giving the famotidine from these drugs by two hours. Famotidine is a very safe drug, and generally has very few side effects. 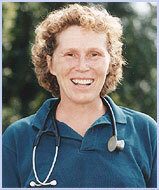 The most common side effects seen in dogs or cats is mild diarrhea or GI upset. Your veterinarian may prescribe this drug at a reduced dosage in older animals or those with heart, liver or kidney problems. In older humans, histamine H2 receptor antagonists have been known to cause some disorientation. Famotidine may decrease the metabolism of acetaminophen. It may also decrease the absorption of cephalosporin antibiotics, oral iron salts, ketoconazole, itraconazole, and vitamin B-12. Different strengths or dosage forms of famotidine may have different storage requirements. Read the labeling or ask your pharmacist for the storage requirements of the prescription you receive.